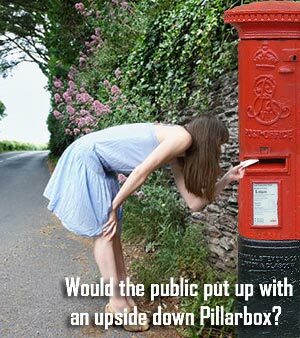 On Friday 8th March Parliament will debate a Tory MP sponsored bill - The Low Level Letterbox (Prohibition) Bill in the form of it's 2nd reading towards becoming UK law and bringing the EU standard for letterboxes in new buildings to be fitted at a height of 2ft 3ins and not at floor level as they are so often found nowadays. CWU's National Health, Safety & Environment Officer Dave Joyce, wrote to the Chelmsford MP on 20th December following her discussions with the Union's members and Representatives in Chelmsford Delivery Office and with Royal Mail HQ. He provided her with background information on the work the CWU has been doing on the issue and with a copy of a document on European Regulation: EN 13724 for Post Boxes. Today, (16th January 2019) in a sometimes humorous introduction by Tory MP Vicky Ford to a Bill aimed at amending current building regulations, the CWU were mentioned in detail and the fact too that the Union's campaign against low level letterboxes has gone of for some years. She pointed out that in 2005 the CWU was promised action in Parliament and a memorandum signed by many MPs, but nothing ever happened. She stated that she had been in discussion with the CWU and despite the view that her party doesn't care about worker's health and safety, this proves they do. She also stated that not all EU standards are bad standards, ignoring the fact that the UK clearly hadn't placed such standards into UK law. This despite her part claiming we can't make our own laws and that the EU dictates to us! She applauded the work done by CWU members postal workers and gave statistical details of the spinal injuries occurring to post personnel on delivery and that despite new and improved letter and parcel carriers, the main damage done is when having to deliver through these low level letterboxes. Not only due to the risk of injury to a persons back, but also it makes the risk of dog bites, and indeed scratches and bites from cats, more likely. Back in 2009, this website reported on the campaign by the CWU Health Safety and Environmental Dept to have EU standards introduced into the UK with regard to the positioning of letterboxes in modern buildings and housings, in answer to Lambeth Council's plans to fit new front doors with ground level "mouse-trap" letter boxes on three council estates - the Weir Estate, Ethelred Estate and Thornton Gardens Estate. The Council's plans came to light when a former CWU Safety Rep living in the area raised objections locally only to be forcefully rebutted by Council Officials. CWU National Health, Safety & Environment Officer Dave Joyce took the matter up with senior council officials and leaders of the Council's ruling Labour Group - leader Cllr Steve Reed and Housing & Regeneration Chair Cllr Lib Peck amongst others. Dave also raised the matter with various government departments and the HSE as the Union became embroiled in arguments with Lambeth Council and its Technical and Legal advisors. Dave Joyce insisted that the Council scrap their plans to install hundreds of low level letter boxes and instead comply with the European Standard (EN 13724) covering Private Letter Boxes which for ergonomic and safety reasons specifies the height, positioning and design of "letter boxes" in order that the safe delivery of Mail can be made without the risk of injury. "It's a partial victory and although far from ideal, it's certainly better than it was but it still falls short of the ideal height. There'll still be some bending for taller members on delivery to these estates. What this proves is that Councils and developers will ignore standards unless forced to comply by law irrespective of the health and safety implications to Postal Workers which is what we've said all along. Clearly the Deputy Prime Minister was naïve in thinking that voluntary compliance would work and I intend to raise this matter again with the government asking them to revisit the need to consider the question or enshrining BS EN 13724 in to regulations in order to ensure Local Authorities do the right thing". Now skip forward some ten years to 2019 and you can see that finally, some notice is being taken of the CWU concerns for the musculoskeletal damage done to the health of postal workers delivering mail each day having to bend double to deliver mail through great swaves of low level letter boxes.